I'm stunned at how quiet this server is. Seagate brings over 20 years of trusted performance and reliability to the Seagate BarraCuda 2.5" HDDs — now available in capacities up to 5TB! These Seagate BarraCuda 2.5" hard drives provide an amazing storage option for important and critical files, as well as those you personally treasure the most. These drives are an excellent solution for taking your hard drive to the next level or bumping up the storage of your current 2.5" hard drive. 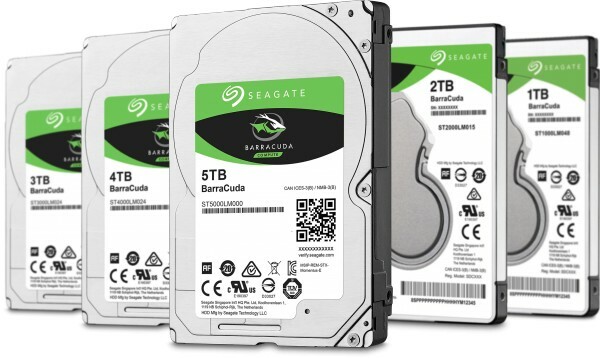 Seagate provide the broadest 2.5" hard drive portfolio with up to 5TB capacity and both 7mm and 15mm form factors suitable for a variety of computer applications. Capacities of 1TB and 2TB have an height of just 7mm, while the 3TB, 4TB and 5TB are 15mm high offering the highest capacity 2.5" hard drives available for external or internal storage. They also feature data rates of up to 140 MB/s and 128MB cache which enables superior PC end-user experience and snappier file transfers.